Combining mutliple networks in one tool, focusing on usability and clear workflows, and made to adapt to you. G&S SatConnect is the solution for automated provisioning, service performance monitoring, and billing integration. Its tailored workflows account for individual business models and provide users and customers with a simple and highly customizable user interface with a capacity for custom branding and multilingual support. Why G&S SatConnect for your business? Do you want to focus on generating value instead of completing repetitive manual tasks? Do you want to bill your clients and utilize upselling opportunities instead of allocating significant resources capturing and validating usage data? Then G&S SatConnect is the way to go. As an enterprise-grade software, it is fully customizable, user-focused and adapts to your individual requirements. We know that software should adapt to the user, not vice versa. So we made G&S SatConnect fully flexible, adjusting it to your workflows instead of forcing you to adapt a generic standard. Above all, we make sure G&S SatConnect is always user-focused, a tool that supports daily tasks in a simple way instead of making life more complicated than it should be. Reduce software maintenance, staff training and operational complexity with G&S SatConnect‘s multi-network capability, including Inmarsat Global Xpress, Intelsat One® Flex, Inmarsat BGAN and more. It doesn‘t get simpler than this. Redundant work is frustrating, so why not create a template for your customer once and then use it over and over again? 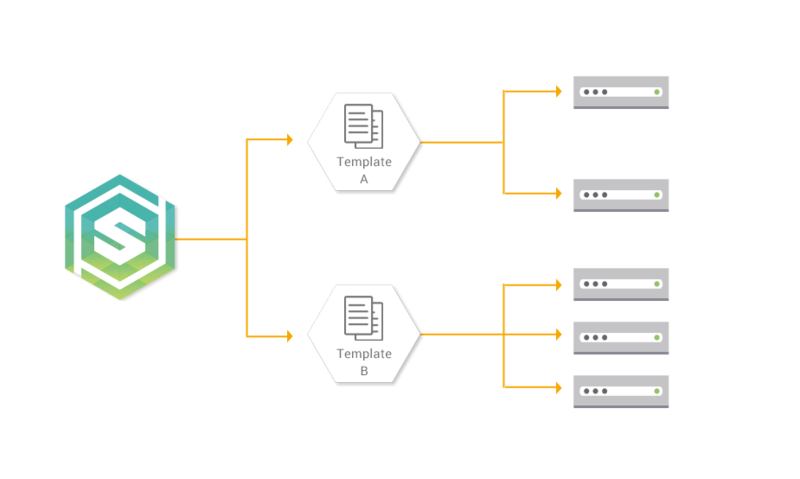 Template-based provisioning by G&S SatConnect makes provisioning easier than ever before. Select a template, apply the terminal to network, done. Avoid redundancy and use your valuable time efficiently. Every inquiry is different and swiftly adjusting to varying demands gives you an advantage over your competitors. With a tailored solution precisely matching customer’s requirements, show your commitment and care for their business. G&S SatConnect‘s subscription manager provides unrivaled flexibility and autonomy to do exactly that—serve your customers. Customers tend to ask for the turn-key solution: flexible, inexpensive, and immediately available. Flexible services and pay-as-you-go contracts are the solution but handling them can be tedious manual work. G&S SatConnect automates every step along the workflow: quick top-ups, utilization monitoring, and simplified billing make pay-as-you-go more profitable and easier than ever before. Transparency creates trust, loyalty, and commitment. Your customers can easily check the status of their plan, top-up their purchased volume, or monitor the current status of their terminals with the G&S SatConnect customer portal. For you, setting up the portal is straight forward since it is part of your G&S SatConnect instance—managed easily by its multi-tenancy capability.